Interesting and unusual Swiss 2 movement dual action automaton clock circa 1910. 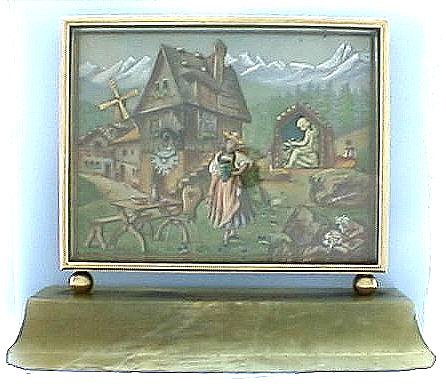 The charming hand painted dial with a mountain scene with moving windmill and an angel automaton blacksmith making arrows, mounted on a green hardstone base. 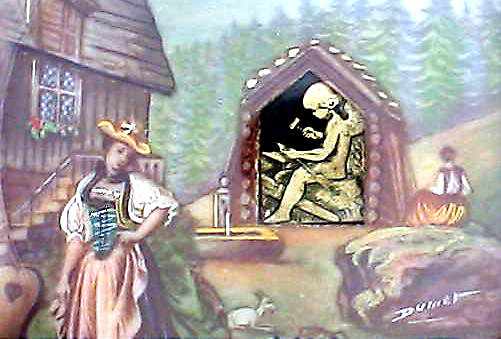 Signed "La Belle Aubergiste, Ditisheim Goldschmidt & Cie, Swiss." Very attractive and unusual.